CGRA LIFE MEMBERS: Back row from left: Rae Ann Knudsen, Shawna Burton, Shannon Kingsmith, Karen Lloyd, Jodi Savage, Kathy McLean, Connie McKenzie, Trina Eskland, Cyd Collings, Brenda Knight, Barb Michalsky. Front row from left: Pauline Hawk, Rose Lang, Deb Hambling, Judy Goodine, Kim Welter. 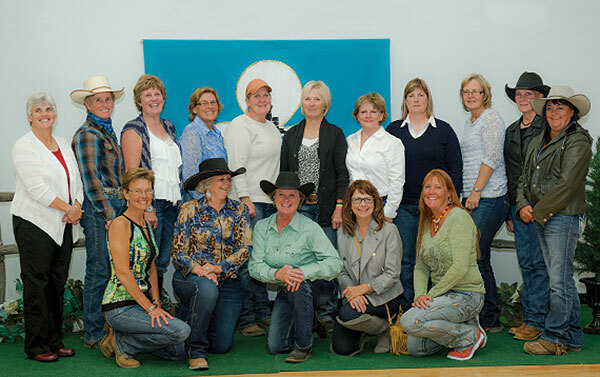 It’s been a wild ride for the women of the Canadian Girls Rodeo Association (CGRA), an organization of all-female rodeo competitors. They came together to compete, they fought prejudice and elitism with talent and class, and they found acceptance and honour in the most unlikely of places — the rodeo arena. Until the death of Bonnie McCarroll at Pendleton Round-Up in 1929, (she was thrown from a bronc and dragged around the arena, her foot hung up in a stirrup) cowgirls had been celebrated for their courage and tenacity in the rodeo arena, but the tragedy escalated the growing opposition to women competing in rough stock events. Instead, rodeo promoters sharply curtailed their participation and encouraged them to be rodeo queens. But the women wanted to ride — and rope. In 1957 the forerunner to the CGRA was formed and the list of approved events increased from barrel racing to also include roping and rough stock (cow riding) events. It was a training ground for some, and a proving ground for all. 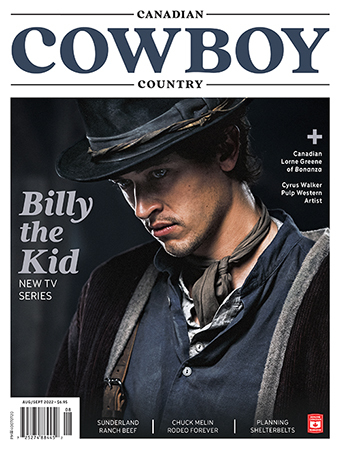 Some of Canada’s greatest rodeo competitors have graced the CGRA roster. Professional rodeo fans recognize a lot of familiar last names in the alumni rank — Wigemyr, Helmig, Bardgett, Flewelling, and Daines are just a glimpse of the talent-rich pool that have flowed through the arena. The alumni is also a roll call for the Canadian Pro Rodeo Hall of Fame — Dee Butterfield, Isabella Miller, Jerri Duce, Elaine Watt — and now there is a third and fourth generation saddling up. Karly McLean is undecorating from her blazing fast buckskin, and Skylar Mantler (the granddaughter of Isabella Miller, one of the founders of the association) is hazing. 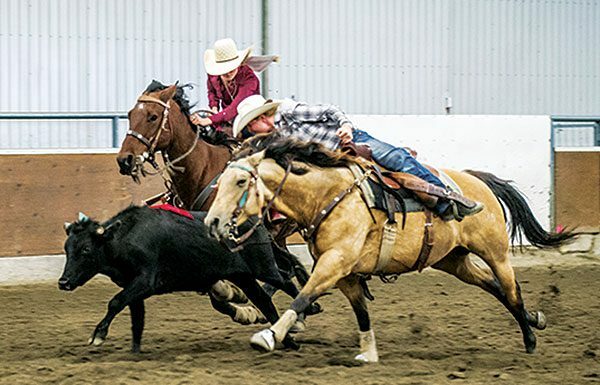 Recently the CGRA opened the gates to the Little Cowgirls, encouraging rodeo skills among the daughters (and in many cases, the granddaughters) of rodeo competitors. While the CGRA is Canada-wide, the high cost of hosting a rodeo has limited its range, and its strongest centre is still in Alberta. Welter, who lives west of Crossfield, Alta., (via Dawson Creek, B.C.,) has been a member of the CGRA for decades. She was the Cowgirl of the Year in 2004, season leader in the steer undecorating in 2006 and ’07 and season leader and Finals Champion in the undecorating in 2015, and, depending on what horses she has going at the time, enters in everything from barrel racing to pole bending, steer undecorating to team roping. (“Except cow riding; my horses will buck me off for free — I don’t need to pay an entry fee for that,” she laughs.) She relishes the competition, but it’s the spirit of fellow competitors she enjoys the most. Take in one of their rodeos this summer as they celebrate 60 years of some of the hardest riding women you’ll ever meet. It will be a reunion of a wide range of competitors whose destiny was shaped from the clouds of arena dust. On behalf of every woman of the West — and on behalf of everyone else related to a woman — congratulations to the cowgirls of the CGRA. Ride, cowgirl, ride!